The 2013 Orlando Latin Food and Wine Festival Grand Tasting event will be held at Crane’s Roost Park Uptown Altamonte in Altamonte Springs, FL on Saturday, October 19th, 2013 from 4 PM – 10 PM. 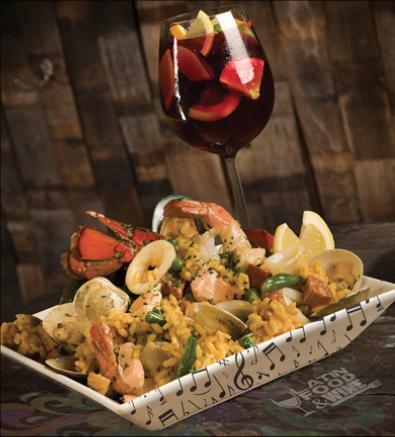 The Orlando Latin Food and Wine festival showcases some of the best in the different types of latin dishes around Orlando including food and wine pairings from Cuba, Mexico, and Puerto Rico. Participating restaurants from the 2012 event included Bongos Cuban Grill, Cantina Laredo, Don Pablos’s, Brio Tuscan Grille, and Azteca Mexican Restaurant as well as smaller, independent restaurants and catering businesses. The festival is free to attend and will have over 40 food and wine vendors. The night before the Crane’s Roost “Grand Tasting” event, there will be a more intimate “Savor the Night” event at The Fountain at Cranes Roost Park on Friday night, October 18th, 2013 from 6:30pm until 10pm. Click Here to visit the official site of the Latin Food and Wine Festival for more information. Click Here to view more food and wine and taste events held around Orlando throughout the year including the Epcot Food and Wine Festival being held at the same time as the Latin Food and Wine Festival. This entry was posted in Events and tagged altamonte springs, annual events, food events, october. Bookmark the permalink.